Josh Sokol, CISSP, graduated from the University of Texas at Austin with a BS in Computer Science in 2002. Since that time, he has worked for several large companies including AMD and BearingPoint, spent some time as a military contractor, and is currently employed as the Information Security Program Owner at National Instruments. In his current role, Josh manages all compliance, security architecture, risk management, and vulnerability management activities for NI. 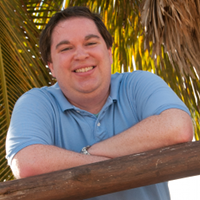 Josh holds a CISSP certification and has spoken on dozens of security topics including the much hyped "HTTPSCan Byte Me" talk at BlackHat 2010.